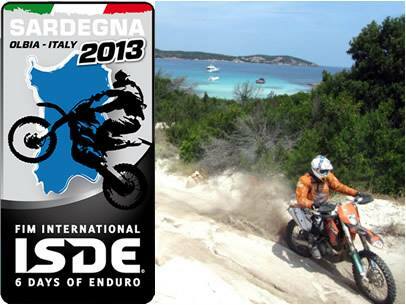 Welcome to Enduro Tours Sardinia (presented by Casa Salsa Libre) …probably the best enduro guided tours in Italy! 12 months a year !! 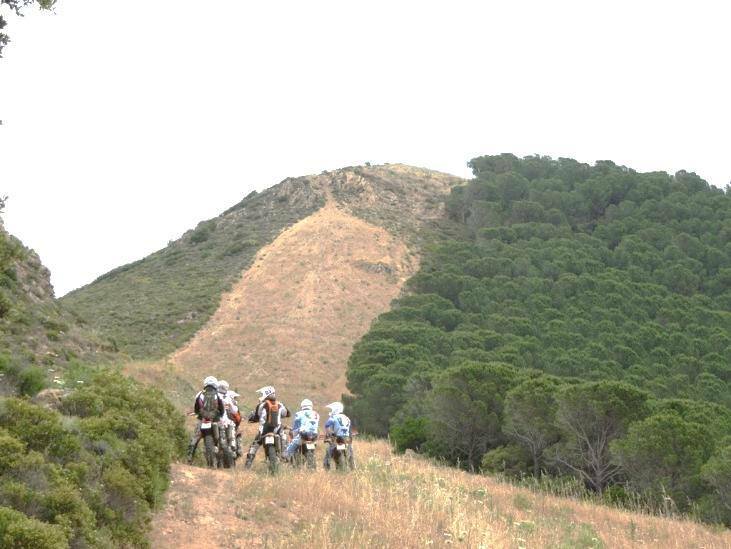 you will have here the opportunity to discover some of the most beautiful, wild and adventurous places for enduro tours in Europe, provided by Casa Salsa Libre Enduro Tours. 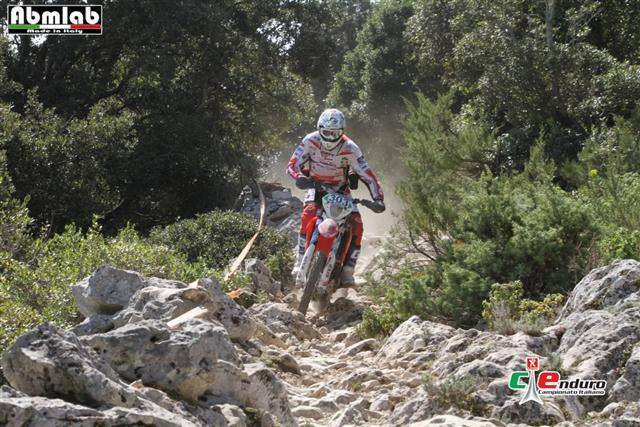 The enduro tours take place in the mountains around the province of Cagliari, which probably everyone has heard thanks to the event “Rally ride of Sardinia” or Six Days Enduro Sardinia etc.. 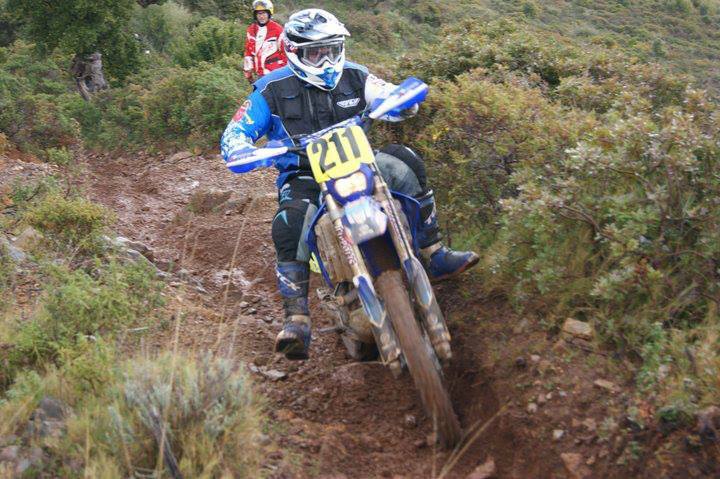 The Enduro area lays close to the accomodation and offers you a perfect training opportunity. 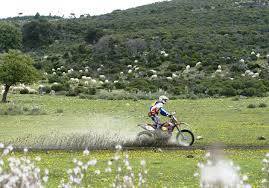 All these tours are driven by professional tourguides and meet all the demands and expectations of all enduro riders, being beginners or well trained riders. How is this possible? 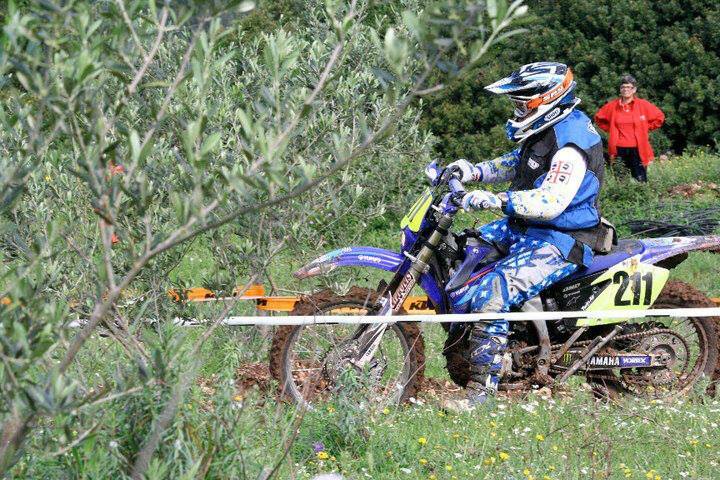 Nature was very generous with us here, so that we have different types of terrain, from beautiful high and medium mountains, big forest and green meadows, to rocky or muddy sections and last but not least the beautifull sand off the Sardinian beaches. 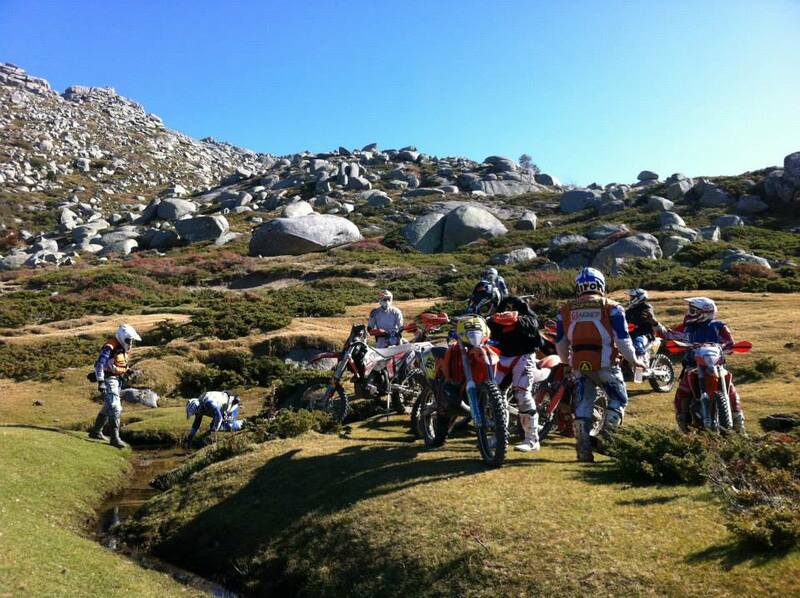 Every ingredient for best guided enduro tours in Sardegna you can imagine. 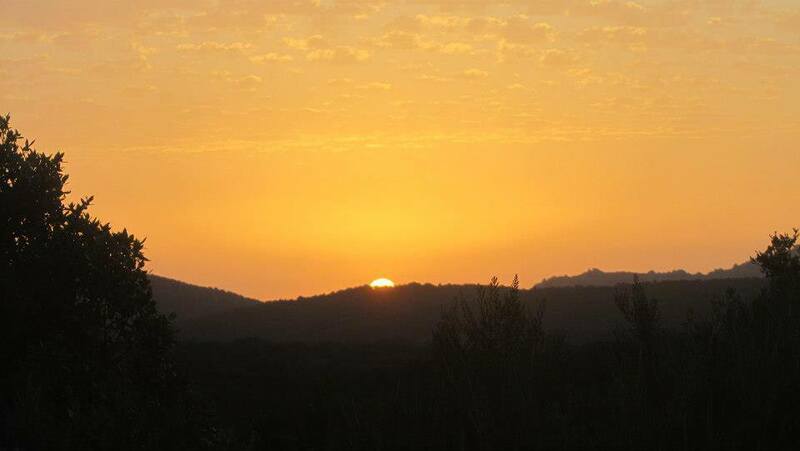 We welcome you to venture into the land of the hospitality of the Sardinian people. 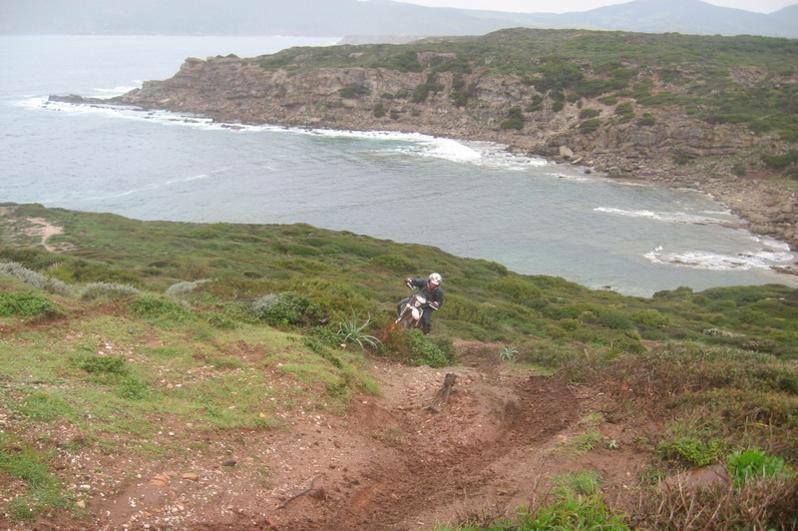 Start dreaming of the beautifull Sardinian beaches, taste the traditional Sardinian kitchen and admire the beautiful Sardinian girls 🙂 by booking a guided enduro tour offered by Casa Salsa Libre Enduro Tours. 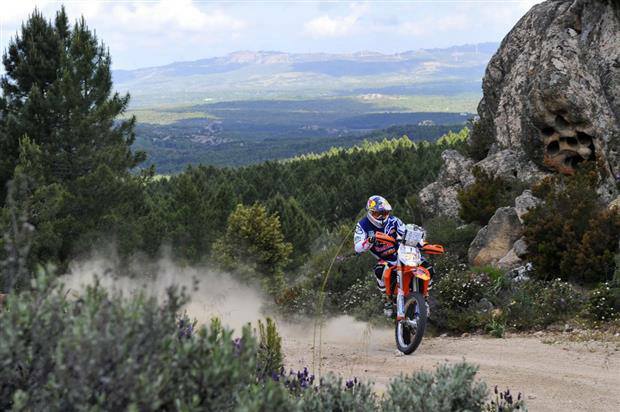 The Enduro Tour costs €150 a day for a group of maximum 4 people. 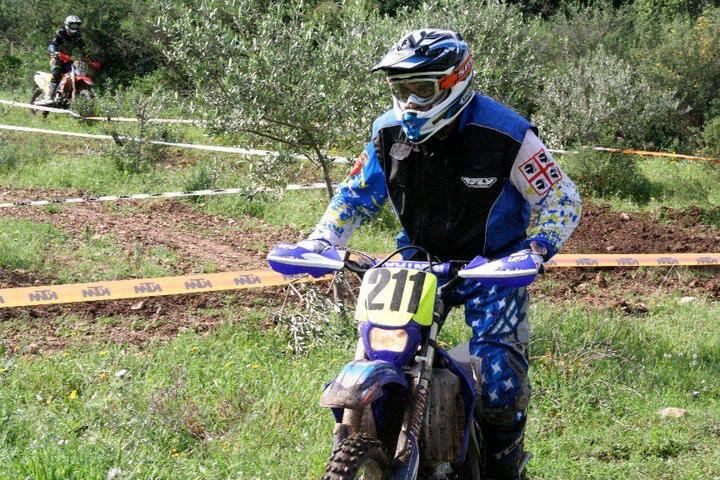 If your group will be bigger, ask us for the quote !! The price is exclusive the fuel (fuel for the participants AND fuel for the guide) and exclusive food. 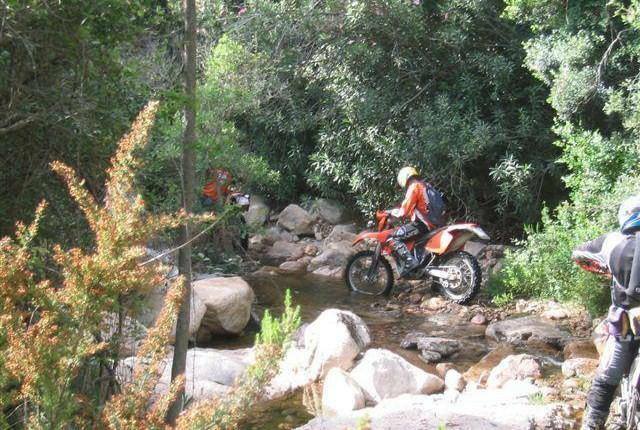 If you decide to rent riding gear from us when you participate in one of our enduro guided tours, just send us an email with your size (clothes, boots, glooves and helmet) and what you need and we will take care that by the time you arrive, your riding gear is waiting for you. 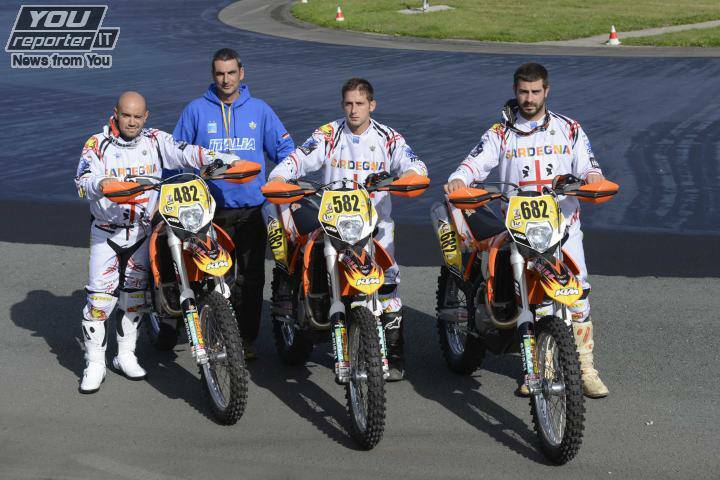 The COMPLETE package costs €350 euro per day per person. 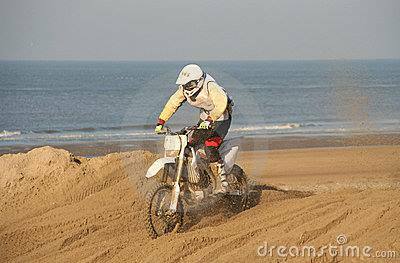 The complete package includes the motorbike (inclusive insurance of the motorbike) the guide and the complete equipment (clothes, boots, gloves and helmet). 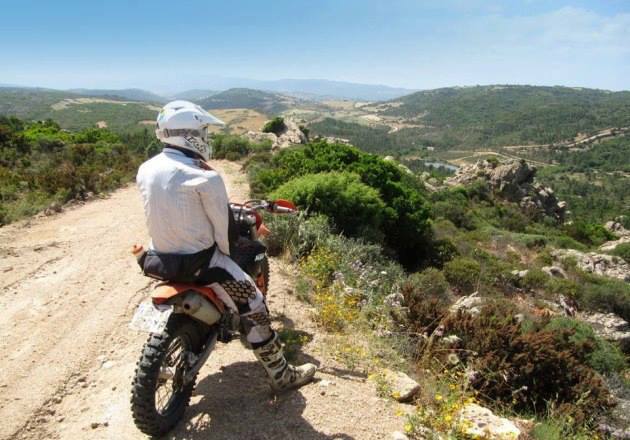 Casa Salsa Libre is situated in the south part of Sardinia, at only 8km from the capital Cagliari, the airport, the harbour and the beaches. 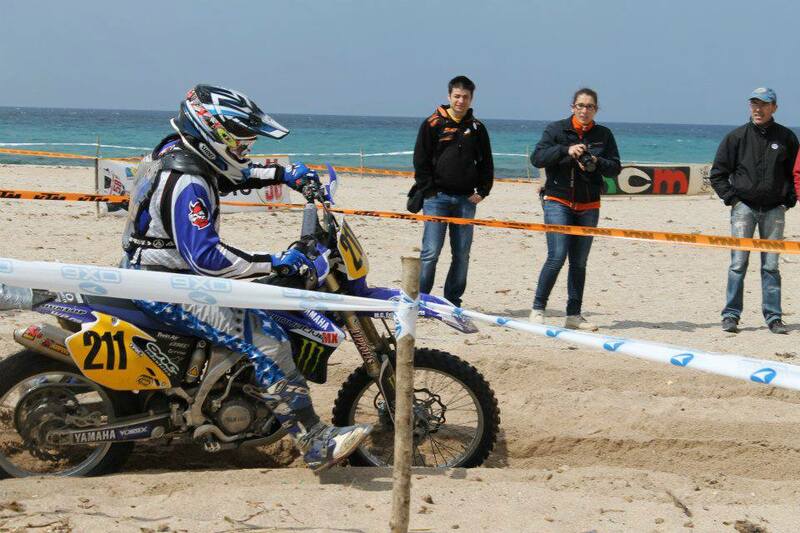 The endurocross area starts at 5 minutes distance from the accommodation, providing a very good training oportunity. Casa Salsa Libre has the facility of an appartment with two floors available for 6 officially sleeping places. We could add 2 extra sleeping places on airmattresses. For larger numbers of participants, we collaborate with our colleagues around here. 1 bedroom with doublebed, 1 bedroom with two single beds and 1 bathroom. The half basement floor is in use by ourself. For the prices and conditions look in the menu B & B > submenu > “prices” The prices are exclusive breakfast. You can decide by yourself if you wish that we serve your breakfast or that you make your breakfast by your own or that you take your breakfast in one of the man bars like all italians do. By law we can only serve prepacked food and you pay €5 per person per day extra. But you can also do it by yourself because you have a big kitchen and a big supermarket in front of your apartment. 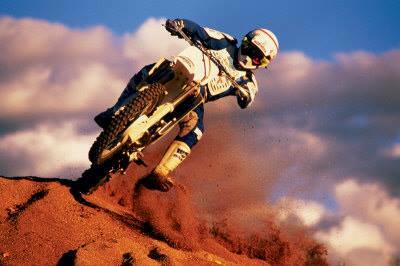 For those who like Motocross, we offer you 4 slopes nearby Casa Salsa Libre. 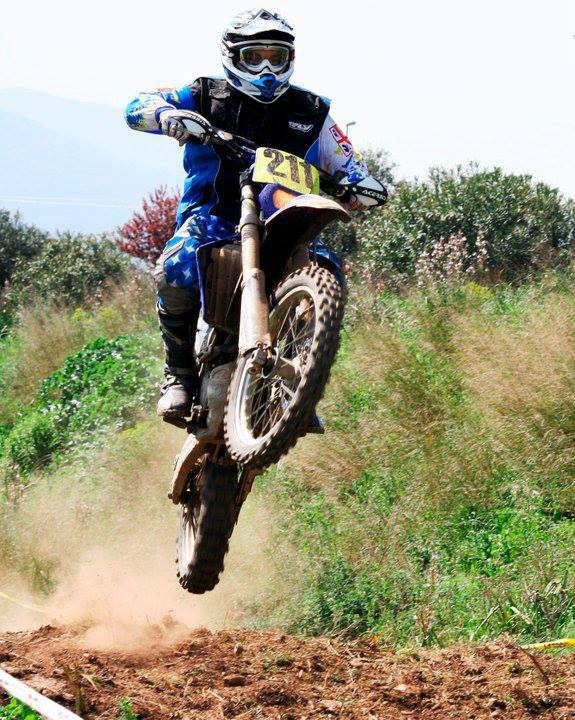 Don’t be surprised if you meet professionals as “Cairoli”, because they also use the mild winter climate of Sardinia, to train here. If we have free time, we can pick you up and bring you back to the airport. For one way it costs 15 euro. 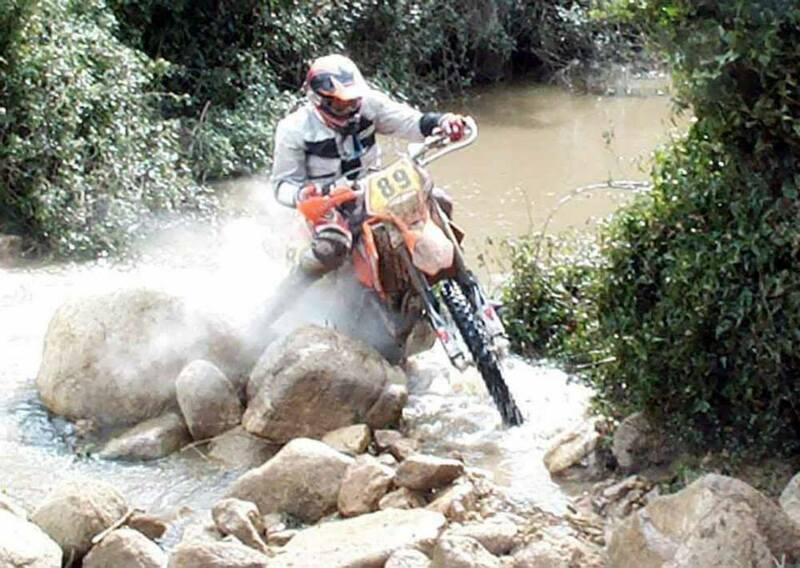 Cheap flights can be found with Ryan Air. The boat company TIRRENIA is one of the cheapest. 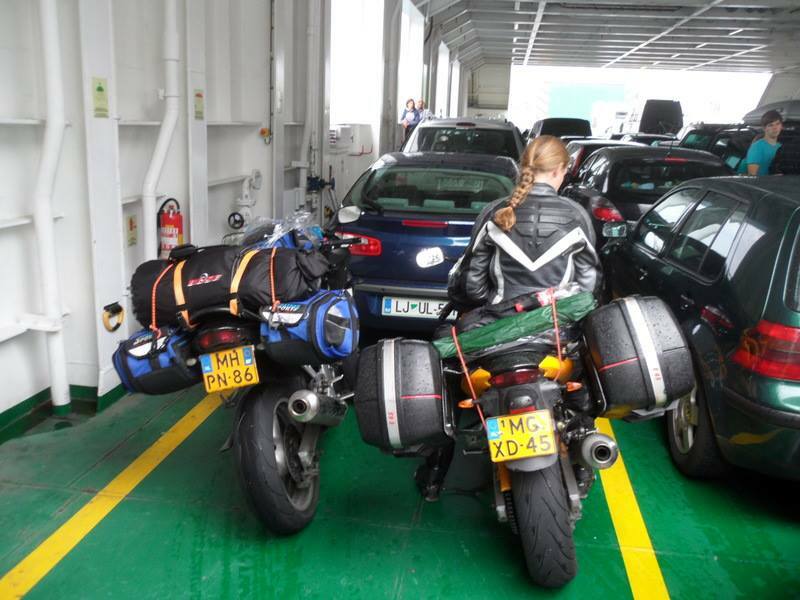 The shortest and cheapest is usually from the mainland from Genoa to Porto Torres Sardinia . 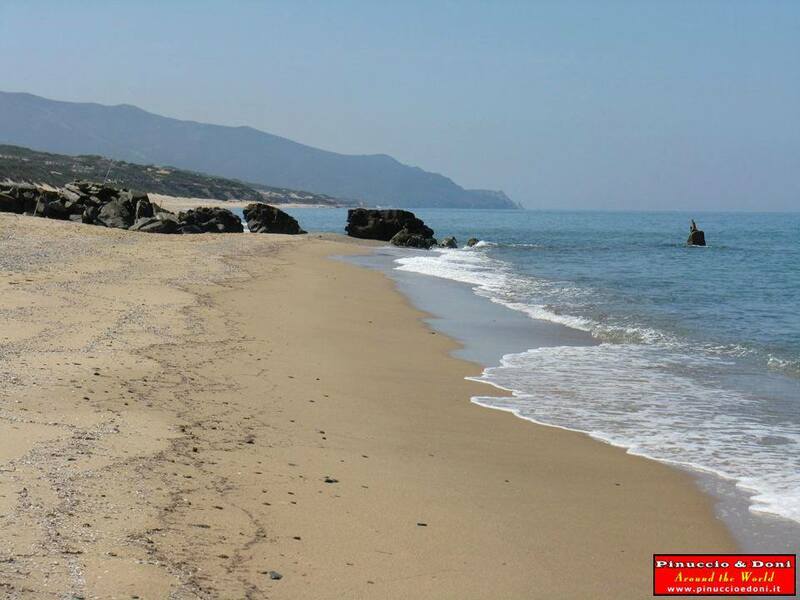 From Porto Torres its still about 200km by car/train before you arrive at Casa Salsa Libre. If you take the boat to Cagliari, you need only 15 minutes to arrive. 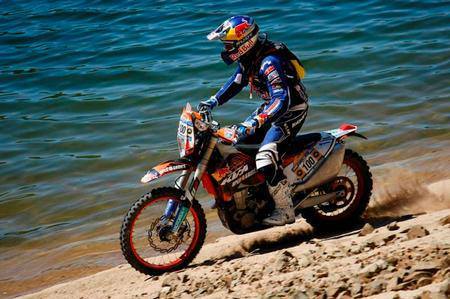 We will return you an answer with all the information as soon as possible.